Watching a 36-year-old anime for the first time is never an easy thing. Getting into the animation and storytelling style for a show with which you have no prior experience, no sense of nostalgia is a bit of an ask. 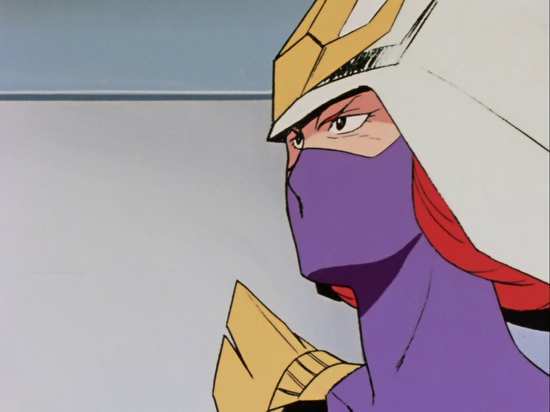 But over the first 21 episodes, my first encounter with the Gundam universe after all these years of being an anime fan, Mobile Suit Gundam certainly began to grow on me. I did opine that for newbies like myself All the Anime’s release needed more context, some idea of the scale of the Gundam franchise that the show kicked off, maybe some supplementary material to enhance the viewing experience. From my lips to God’s Ears it seems. All the Anime’s release of the second part of Mobile Suit Gundam not only has an on disc 30th Anniversary interview with the creators, but for a limited run of 1000, the second part will also come with an exclusive 48 page art booklet. It’s the year 0079 of the Universal Century; 50 years after the grand scale colonisation of space began. Giant space colony cities now host vast swathes of the population. One of these cities, Side 3 renamed itself the Principality of Zeon, and declared a war of independence against Earth. 8 months later, following massive casualties, both sides are at something of a stalemate, even though the Zeon mobile suit technology with their Zaku seems to confer an immediate advantage. But the Earth Federation isn’t standing still, and it’s moving ahead with its own mobile suit technology. 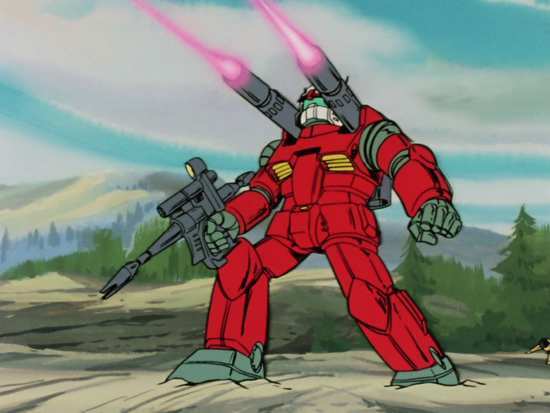 It’s the rumours of these advances that draw Zeon Commander Char towards the Side 7 space habitat, and he sends three Zaku and their pilots on a reconnaissance mission. Side 7 is where 15 year old Amuro Ray lives, a young man who loves to tinker, understandable given that his father is an important Federation scientist. And sure enough Side 7 is where the Federation is conducting its most critical Gundam research, a giant robot that is the next leap forward in weapons technology, significantly more advanced than Zeon tech. It’s also where their newest ship, the White Base is due to pick up the technology. But the glory hungry Zaku pilots exceed their mission when they see the new Gundams, and they launch a devastating attack, wrecking the habitat, killing countless inhabitants and key military personnel. 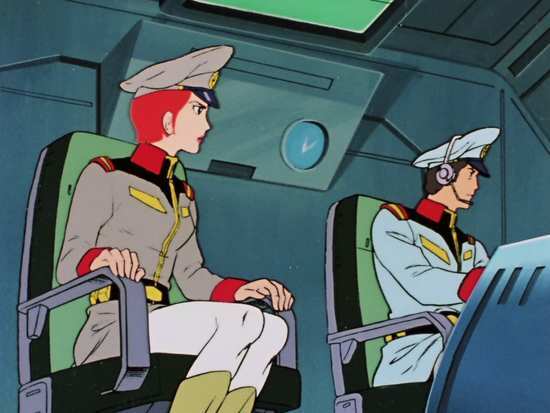 In the mayhem, Amuro winds up in the cockpit of a Gundam, armed with the instruction manual. 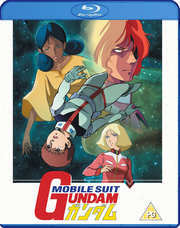 As we begin this collection of episodes, Amuro and the crew of the White Base have made it to Earth, but rather than find refuge, their hard earned skills in battle during their desperate flight to safety has earned them field commissions, and they’re expected to continue waging war against the Zeon invaders alongside the rest of the Federation forces. Previously, the White Base had been seriously damaged in battle, suffering severe losses. This couldn’t have been timed worse, as the Federation counterattack is about to commence. But there are spies everywhere. Mobile Suit Gundam gets a 1.33:1 pillarboxed 1080p transfer on these discs. This show dates from 1979, when the state of the art in TV animation in the West was Filmation and Hanna Barbera, and Oliver Postgate in the UK. The most diplomatic way to describe the animation is vintage, although low budget would be more accurate. As you might expect given all that, this isn’t a show that ever looks spectacular on Blu-ray, the quality of the animation, the colours and level of detail never really requiring the full 1080 lines of resolution. So this is probably as good as Mobile Suit Gundam will ever look, the image is clear and sharp, the simplistic animation not engendering anything in the way of compression and aliasing, and colours remaining true, black levels strong. There’s no reason to worry about episode counts on the discs being excessive either. The animation might be cheap and cheerful, the character designs simplistic, and a fair bit of stock footage used, but the scope of the story is reflected in the finished product. This is a future world where human populations now reside in gargantuan space structures, travel in fleets of spaceships, and pilot giant robots. The dramatic intent and scale of imagination certainly comes across in terms of world design, especially on the macro scale, even if the mundane, everyday personal world of the characters lacks that imagination. Although on occasion you can find touches of character animation that impress. Even with this budget and TV anime schedule, the focus on character is apparent. Still, the giant robots, especially the Gundam, Guntank and Guncannon all get the exquisite detail that you would expect from a show trying to sell tie-in merchandising. The images in this review have been kindly supplied by All the Anime. You have the choice between PCM 2.0 English and Japanese with optional subtitles and a signs only track. I only had the evidence of my ears to go by, but the Japanese audio that I chose to listen to felt very much like the mono track that you’d expect from a 1970s’ television animation. Everything was centrally focused, and somewhat subdued. The dialogue was clear, and the action presented well. I gave the dub a try, and it has a lot more presence to it, indicative of a stereo track. Also the audio sounded fresher, clearer, with the effects having more impact, the dialogue having more richness. The dub is easy to listen to, but it is very much of its time. The subtitles are accurately timed and free of typographical error. The discs present their contents with static menus, and each episode is followed by a silent translated English credit scroll. The sole extra is on disc 1, and is the 30th Anniversary Interview with Staff, lasting 24:40 and presented in HD. It’s a talking heads piece with the director and the animators that worked on the original show, and it is surprisingly candid, given the usual light fluff pieces, or company line interviews that we usually get with anime. There are also some interesting clips from Gundam shows yet to come, giving some indication of the evolution in animation. This is one of those instances where my inability to foster nostalgia for a vintage show that I’ve never seen, combined with my still lingering disdain for some aspects of the giant robot genre leave me cold. I just didn’t get the fervent appreciation for an anime classic that so many people have, just couldn’t get into the show that launched an unstoppable franchise, with countless spin-offs and sequels. 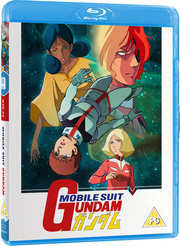 As I said in my review of Part 1, this is very much the Blu-ray for fans who have seen the show before, and it’s also the Blu-ray for fans of the Gundam franchise. But I do get the feeling that if you haven’t seen Mobile Suit Gundam or any of its spin-offs, then this is not the place to start. Obviously getting past the age of the animation was one thing. There is a distinct animation style to be sure, but it’s also the nature of the characterisations and the approach to storytelling that betrays the show’s vintage. Coming to the show with modern sensibilities, it certainly is refreshing to see that there are none of the usual tropes and stereotypes among the characters, but they are thin, single note affairs for the most part, especially the supporting cast. The biggest problem for me is that the story seems unearned. 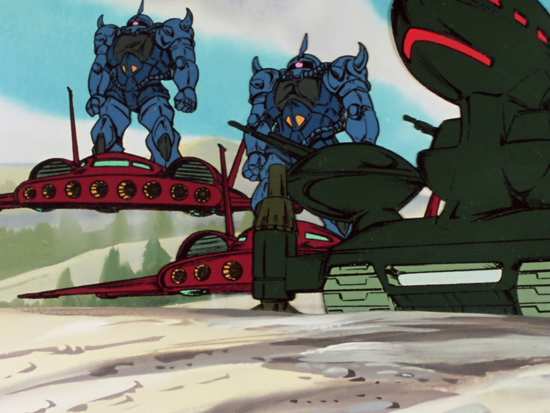 For one thing, there will be an action sequence at least once an episode, as the Zeons launch another attack on the White Base. You can see the influence of the tie-in merchandising here, as the Gundams start getting upgrades each week at the start of this collection. 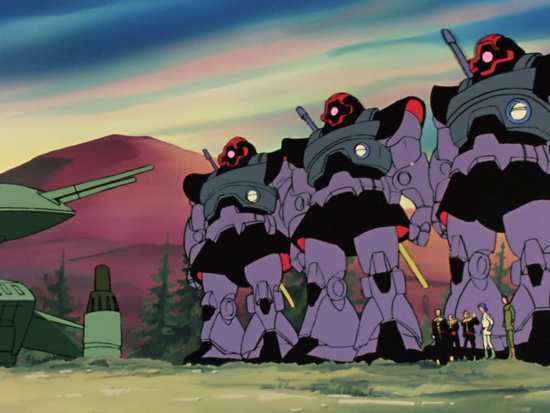 Also, every week sees practically a new model of Zeon mobile suit brought into the fray; this is a show that certainly must have kept the mecha designers in clover. The trouble with the episodic action sequences is that their regularity detracts from the drama, and as I said, the peril and adrenaline in those sequences starts feeling unearned. Also unearned is the whole Newtype phenomenon, which today fans closely associate with Gundam. The funny thing is just how clumsily the concept is shoe-horned into the series, with the first collection, and the start of this one having no mention of it whatsoever, no foreshadowing at all. Then along comes episode 33, and it’s as if someone had just come back from watching Star Wars. 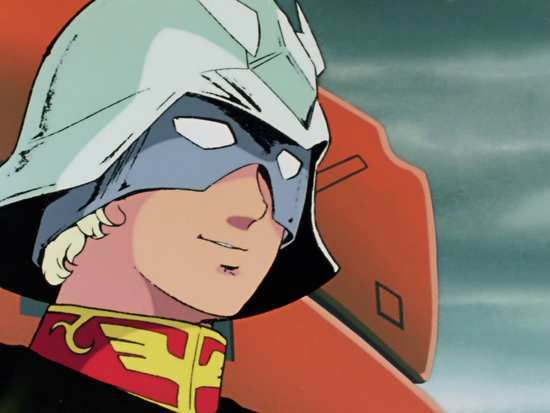 Suddenly Gundam and Zeon pilots have superior mental abilities, telepathic, prognostic, extra-sensory perception, and soon Amuro’s the resident Federation Jedi. It doesn’t hurt that the Gundam’s scope looks like an X-Wing’s targeting computer. From this point on, the story becomes less about the war, and more about the Newtypes, and it certainly is an interesting aspect of the show, it’s just how clumsily it’s introduced that bugs me. Just as in the previous collection, it’s really in the off-time so to speak, that the show delivers its juiciest content. It’s when the action isn’t going on, the giant robots aren’t battling it out that little moments in the show pique my interest. Early on in this run, Kai meets and falls for a girl named Miharu, who happens to be a Zeon spy, and a tragic romance ensues. The Char and Sayla storyline continues to provide juicy narrative right to the end of the show. Ryu’s replacement is a brash, and occasionally obnoxious Lieutenant named Sleggar, who eventually wins everyone over, only to suffer the same fate as his predecessor. One of the most interesting arcs is when the White Base gets into space and visits the neutral Side 6 colony, Amuro finds his father, missing from the opening episode, and it’s a heartbreaking reunion. 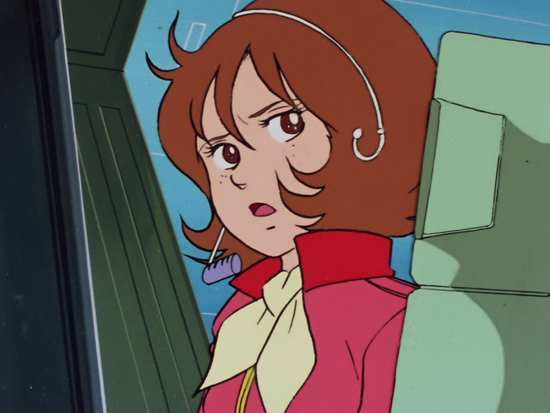 Of course there is the character of Lalah, who with Char and Amuro forms the strangest of triangles. The show began in space, and it’s in space that the story concludes, as the White Base makes it back to Federation territory, following several decisive battles against the Zeon on Earth, and is then co-opted into a grand fleet to take the battle to Zeon. The battle sequences certainly get intense and frenetic as the series comes to a close, to deliver the full Star Wars experience. 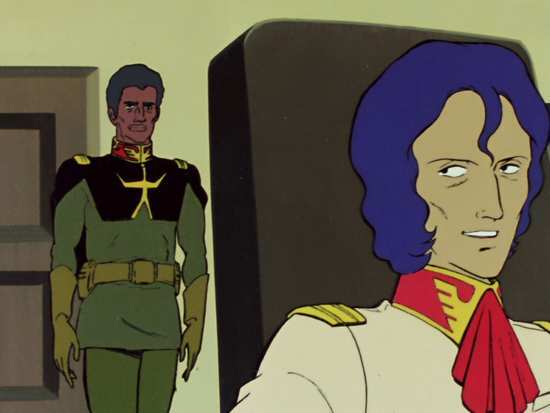 The largest disappointment for me was the Zeon storyline, which only occasionally hinted at the Machiavellian politicking that was taking place in the ruling Zabi family, the lust for vengeance that Char had, so much so that when that aspect of the story played out in the final episodes, it lacked dramatic impact for the events shown. It’s a shame, as I happened to read one of the prequel manga volumes that looked at Casval and Artesia’s back-story, and it was a lot more enlightening with a well constructed narrative, than the MSG anime. 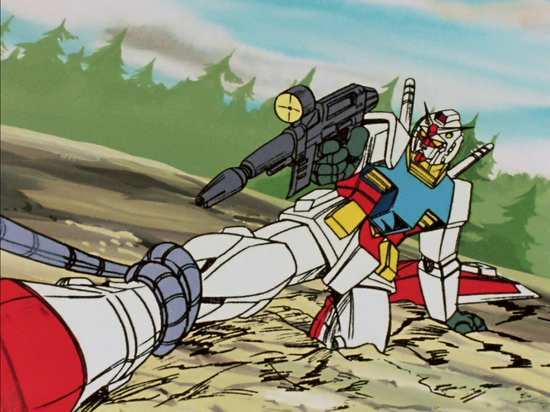 Mobile Suit Gundam is a hard show to watch with modern sensibilities. Even taking into account its near 40-year old vintage, it feels like work at times, sifting through its repetitive, merchandising oriented action sequences, to get to the heart of the characters, and the drama of the story, which is disappointingly downplayed. But if you can do that, there is much to recommend the original Mobile Suit Gundam. Just remember to skip the next episode previews and just watch the episodes. Or if you are short for time, you can skip the episodes and just watch the next episode previews. "Just remember to skip the next episode previews and just watch the episodes. Or if you are short for time, you can skip the episodes and just watch the next episode previews." That really did make me laugh aloud! 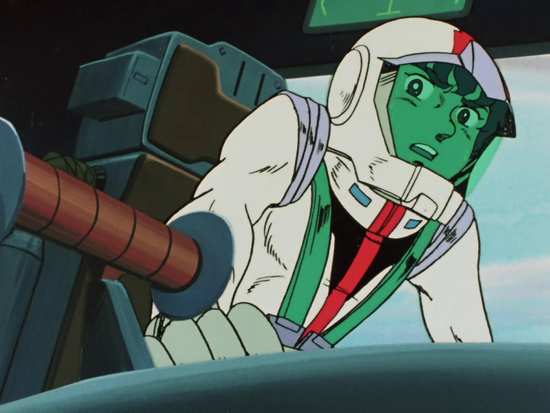 I love retro anime like the first Robotech series or even as far back as 'Marine Boy' 'Speed Racer' or 'Atsro Boy'. This looks my sort of thing.